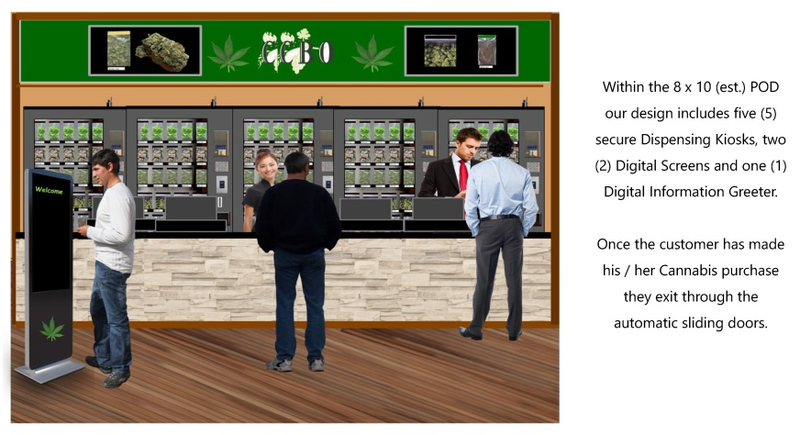 Store within a Store | Propods Inc.
Propods Inc. Would like to present our “Store Within a Store Concept”. We can (like the large exterior POD) prefab a 8 x 10 (est.) 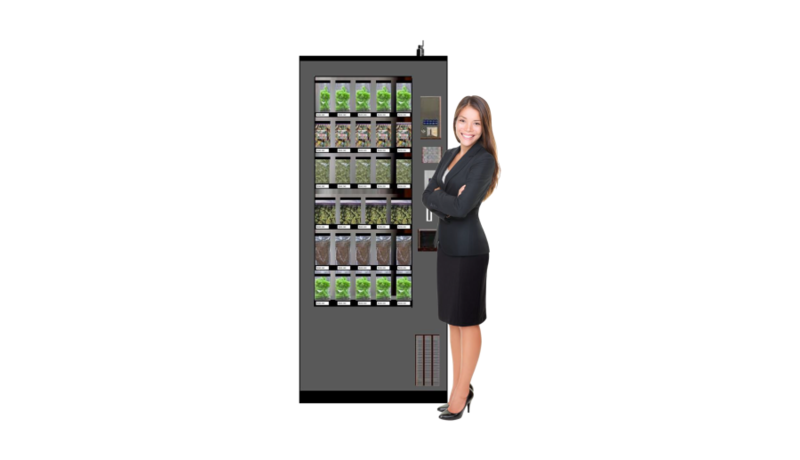 Turnkey POD solution and install this directly into any selected existing store and under 72 hours per location. Our Mini Prefab POD program can be rapidly preconstructed and be ready for delivery while the existing stores are being prepped for installation.  The concept also allows the Province and the operator to have consistent turnkey solution throughout the Province at your selected stores. 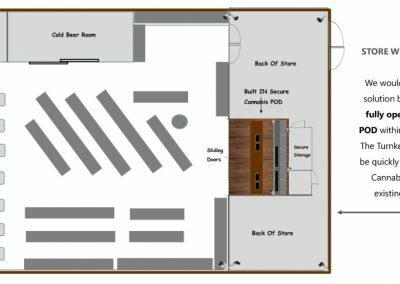 Similar to existing Beer Cooler Rooms, we would create a sliding door Prefab POD that would be brought into the back of an existing store and placed facing out towards the store. We would then remove a small section of the wall (the size of our POD sliding doors). 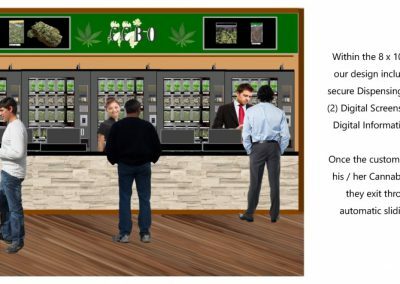 For customers to enter and exit through the sliding doors and be secluded from the existing store. 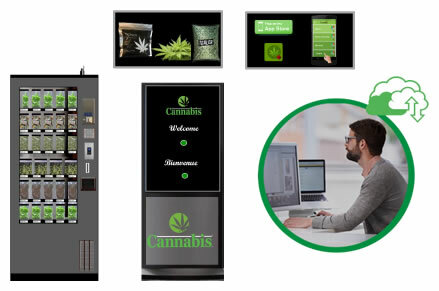 The POD would include all of our great features with the secure dispensing kiosks, digital greeter, digital network and 100% wireless inventory management all delivered as one, and quickly installed as one. 100% managed and operated by Provincial staff. We offer two sizes (A small) & (B large) subject to the location. Double Entrance / Exit sliding doors (ADA approved). 100% accurate wireless inventory control. Specific wireless router per dispenser with built in firewall. Start and end of shift reporting per staff member. Staff “Eye Retina” reader per sale. Staff “Finger Print Reader” per sale. Staff “ID Card Reader” per sale. Allows customers to personally be engaged reviewing options prior to a purchase and be more informed about all Provincial offerings.